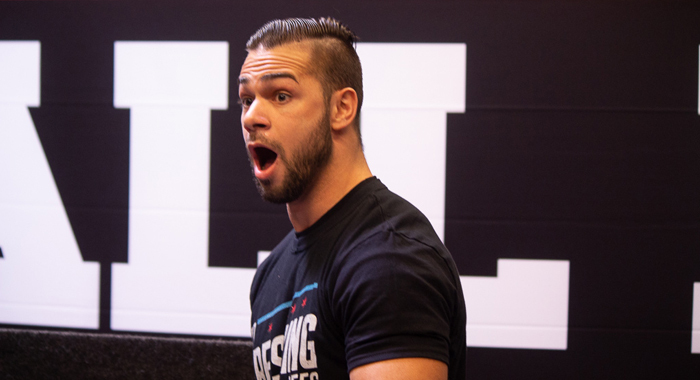 As previously reported, Flip Gordon suffered an undisclosed injury at the Jan. 13th ROH Honor Reigns Supreme event in Concord, N.C. during a match against “Hot Sauce” Tracy Williams. Ring of Honor has released a statement confirming that Flip suffered a “full MCL tear in his right knee” when delivering a running dropkick in the corner, and the match was cut short just under the three-minute mark. The good news is, based on his current timetable for rehabilitation, ROH is claiming that Flip should be back in action for their huge Madison Square Garden event on 4/6 with New Japan Pro-Wrestling. Less than four months for an MCL tear does seem a bit rushed, but it’s not like it hasn’t been done before. Wrestlers are notorious for coming back well before their projected return date, and it will completely depend on the severity of the tear, any previous injuries that may compound the injury, and how his rehab goes.